Guest blogger and honorary Conscicom-er Richard Fallon recounts recent happenings at the Royal Society. Photos by Berris Charnley. Without much hesitation, science historians will tell you that nineteenth-century science was theatrical. It’s easy to write that, and imagine a crowd of well-dressed ladies and gentlemen politely applauding the latest magic lantern slide of a Megalosaurus’s shinbone, or an ultra-magnified drop of Thames-water, but can we run a field test on it? On the 29th of June, at the Royal Society’s free Twilight Science evening, that’s exactly what we did. Twice. 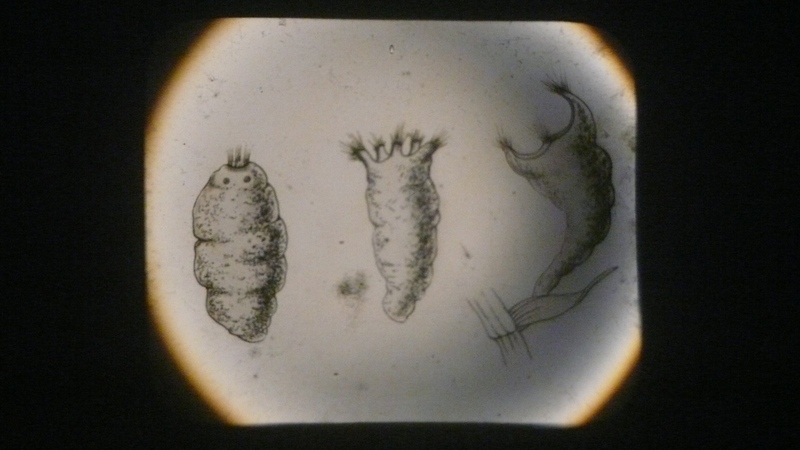 Readers of this blog will recall Matt Wale’s report on our first run at a public conversazione and magic lantern show, ‘Conversations on Nature’, which was held at the University of Leicester back in November. Now armed with Dr Geoff Belknap’s new (1890s) magic lantern, we took the show on the road as what I assume to be one of the very few history-of-science-themed theatre groups: the Strolling Players. Whereas in Leicester we preceded the magic lantern show with a display of various Victorian paraphernalia, in London we tried something different. 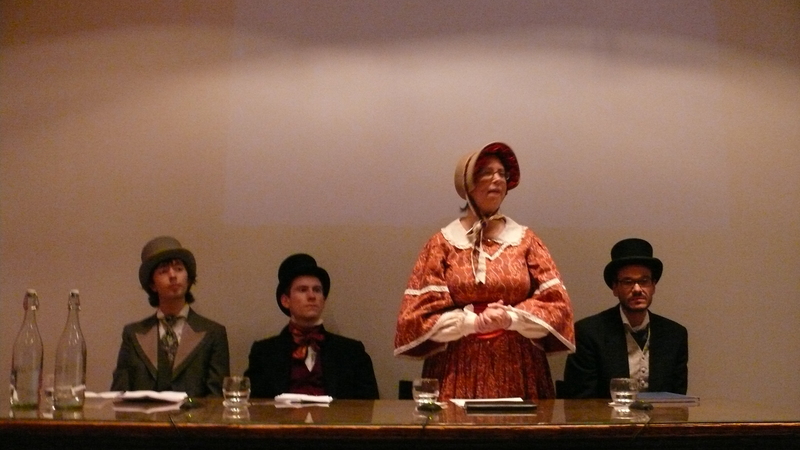 That something was a short play, ‘The Tables Turned’, in which a group at the Piccadilly Literary and Philosophical Society debate the scientific validity of Victorian spiritualism. A rather one-sided debate, you might think, but there’s no better subject to demonstrate the heterogeneousness of Victorian science, where the divide between those things we now see as serious, like evolutionary theory and microbiology, and what we would probably consider quackery, like phrenology and mesmerism, was frequently non-existent. Melanie Keene, of the University of Cambridge, acted as the President of our debate, while Matt reported the proceedings. Geoff played the part of the sceptic, while I was the night’s believer in table-turning, spirit-rapping, and probably ectoplasm as well (why not?). And even though it was a very sultry evening, we were all in full Victorian dress from Leicester’s Little Theatre. After our debate, we opened up the matter to the (very well-attended) floor. Not too many spiritualists in the audience, I felt, although it’s hard to feel credulous when you’re surrounded by the judging eyes of so many paintings of dead scientists. That’s the Royal Society for you. (L-R) Steely-eyed Victorians Richard Fallon, Matt Wale, Melanie Keene and Geoff Belknap. 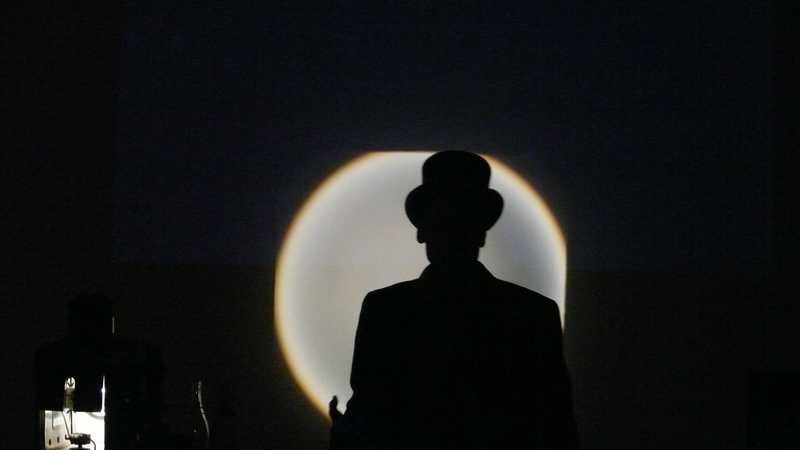 Having tested our magic lantern act once before, we’re getting better at it. Jammed a few times, and some of my slides were out of order—Oolitic period before Silurian, Victorian geologists wouldn’t have liked that—but as we always say, that was the reality of scientific lecturing in the Victorian period too. That’s our story and we’re sticking by it. The contraption has a certain magnetic aura, and we were all delighted to see so much interest in it once the show was over. 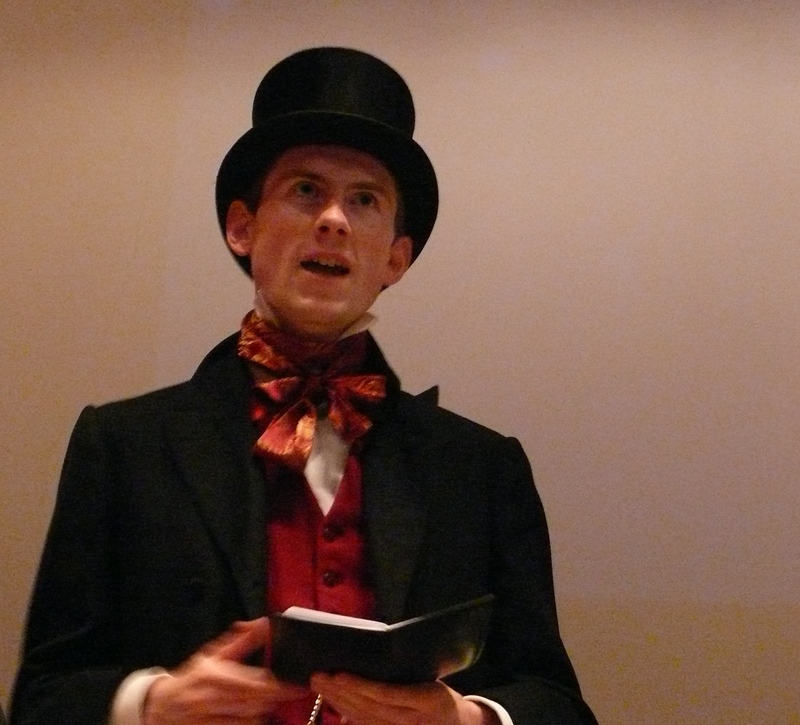 Our thanks go out to all those who took time away from the twenty-first-century science stalls on the lower floors of the Society to attend our nineteenth-century performance. The slides themselves tell an interesting story. Bought off eBay, they’re a tantalisingly random collection of scientific images, and I think all of us have been surprised by the presence of particular images. The presence of one of Alice B. Woodward’s later Iguanodon illustrations, for example, seems to date that particular slide to 1912 at earliest. Magic lanterns at the dawn of cinema—an interesting topic for another day. It’s hard to be a Victorian man of science, you know. You have to stress science’s wonder and romance without becoming unphilosophically speculative. You need to prioritise nature’s eternal physical laws without becoming a godless materialist. And you also need to state the hard facts without boring your audience to death. I believe that ‘The Tables Turned’ was a success, and eagerly await the next opportunity to roll out some nineteenth-century tech. It’s events like this, where we try to recreate that sparkling environment where science was so eminently fashionable and its boundaries so passionately contested, that make research in the field so much more real. They are also part and parcel of ConSciCom’s very raison d’être: not only constructing scientific communities in the present, but examining how they were constructed in the past—and seeing what we can learn from both.